Could I use Isopropyl alcohol to remove thermal paste? I'm replacing the thermal paste on my MacBook Pro and I was wondering, instead of spending extra money on thermal paste remover and purifier, would Isopropyl alcohol work just fine and be perfectly safe as well? Thanks! Wipe away most of the thermal paste that you can and then use 99% Pure IPA to clean away any residue. 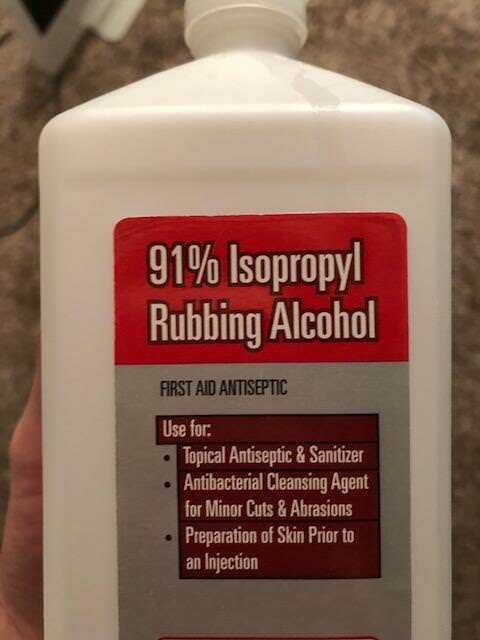 Avoid using rubbing alcohol, which is just 70% IPA. I like to use KimWipes as they leave very little lint. https://i.imgur.com/UIpBr07.jpg Will this work? I know it says rubbing, but would it still work since it's above 70%? That should do, anything above 90% is good enough. @thekingcameron Yes, Isopropyl Alcohol will help to remove remaining residue, though I'd remove as much of it as you can using a lint-free cloth or similar before using it so you're not spreading the thermal paste or compound around and making a mess. I'd also shoot for 99% (or as close you can get), however, I've used 70% in the past and it works just as well though. The most important thing is to make sure it's dry and that whatever you're using to remove the initial layer of paste and to clean with doesn't leave lint or debris behind. Microfiber tends to work best, though coffee filters can do the job as well. I tend to avoid q-tips as the cotton tends to string out and you don't want that sitting on the CPU/GPU, chip, or hitting the heatsink as it'll burn up quickly and may cause damage to the components. Using 99% results in quick dry times (simply blowing on it will result in relatively quick air dry), while 70% can take a little longer, though not to any substantial degree. Would bounty paper towels work as a lint-free cloth? I'd recommend microfiber. Paper towels have a tendency to shred and if you look closely, you can see bits and pieces floating through the air. While that's most likely not going to be enough to cause damage, I prefer to stick with what works and ensure the surfaces are free of lint, dust, or debris. 70% alcohol is fine. I’ve used it for building/rebuilding many desktops and my CPU’s have been really cool. Cameron Torres 가/이 대단히 고마워 할 것입니다.